Various types of retinal neurons, including amacrine, ganglion, and horizontal cells, expand neurites (dendrites or axons) in horizontal direction and make synaptic or electrical contacts with other cells to integrate the visual information. Many types of ion-channels and receptors are located along these neurites, and these horizontal connections critically contribute to the information processing in the retinal circuits. However, many of previous electrophysiological and immunocytochemical studies employed slice preparations cut by vertical direction in which most of these cells and their neurites were severely damaged and removed. This might lead to the underestimation of active and passive conductance in horizontally expanding neurites, and also missing of morphological information of horizontal structures. Here, we describe an alternative slicing method of horizontally cut preparation of the retina. The slice is made horizontally at the inner layer of the retina using a vibratome slicer after the retina is embedded in the low-temperature melting agarose gel. This horizontal slice preparation enables us to directly access cells in the inner retina by patch-clamp recording, calcium imaging, single RT-PCR, and immunocytochemistry. 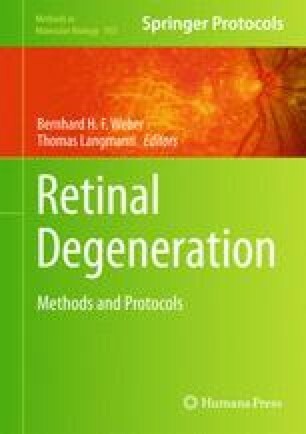 The method described here would offer an alternative strategy for studying the functions of neurons and neural circuits in the retina. We thank Drs. Richard H. Masland and Akimichi Kaneko for giving us valuable advices and suggestions to establish the procedure of the horizontal slice preparation of the retina.